The Montreal Canadiens were not the most desirable team to target players in fantasy hockey last season. They scored 207 goals, placing them third to last in the league with only the Arizona Coyotes and Buffalo Sabres scoring less than them. Brendan Gallagher led the the team with 31 goals and 54 points, which was the league’s second lowest leading point total, with only Mats Zuccarello of the New York Rangers scoring less with 53 points. Goals were evidently hard to come by last season for the Canadiens, making a majority of their players unworthy fantasy options. With minimal changes to their core during the offseason, will the Canadiens be able to post bigger totals this year or will it be another miserable season? Let’s take a look at some of the players that have the potential to be impact fantasy players. Pacioretty had one of his worst seasons as a professional hockey player last season, putting up 17 goals and 37 points in 64 games. At a charity golf tournament last week, Pacioretty admitted that he had difficulty playing as best as he could last season due to the ongoing distraction of his contract extension. As a result, he made it clear that he will not negotiate a contract with the Canadiens, or any other team, once the season begins. This refusal doesn’t mean that it won’t still be a distraction, but Pacioretty is clearly doing as much damage control as possible to return to his former self. Before last season, he scored 30-plus goals in four straight seasons. His shooting percentage last season was eight percent, while his career percentage is 11 per cent. 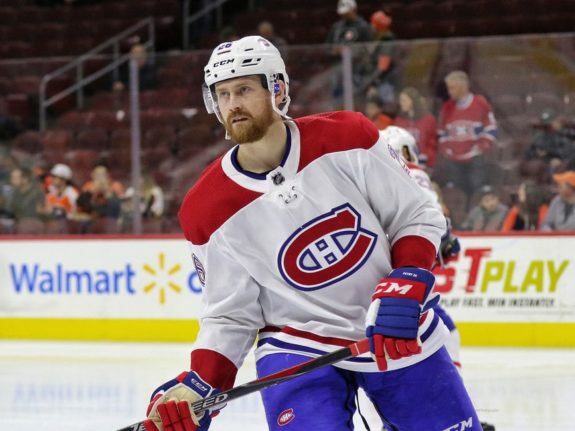 It looks like the 29-year-old will play out the final year of his contract with the Canadiens, and he will need to have a big season to cash in on a long-term, fully-loaded contract. With the current state of the Canadiens, paired with his contract debacle, it will not be surprising to see Pacioretty slip in fantasy drafts. There’s a great chance that he returns to his career averages this season, and he will make for a great pick if people shy away from him in the early rounds come draft day. When Shea Weber went down with an injury last season in November, nobody expected him to miss the entire season. With an already thin defensive core, Jeff Petry stepped up big time in the absence of the veteran defenseman. Petry put up 31 points in the 49 games after Weber was injured, taking on the duties of the team’s number one blueliner. While much of the team slumped, Petry quietly had a career year with 12 goals and 42 points all while appearing in all 82 games. He successfully took over top power play duties, amassing 23 of his points with the man advantage. Now, with Shea Weber expected to miss at least the first three months of the season after undergoing arthroscopic knee surgery over the summer, Petry will have the chance to repeat his performance from last season. Petry may fly under the radar due to his poor -30 rating last season, but if your league requires you to draft defence, then he can likely be claimed in later rounds with great value. Gallagher appeared in all 82 games last year for the first time since 2014-15, and scored a career-high 31 goals and 54 points. While a lot went wrong for the Canadiens last year, Gallagher was one of the few bright spots on the team. His dedication and hustle was indisputable, and it truly showed on the scoresheet and in the eyes of fans. 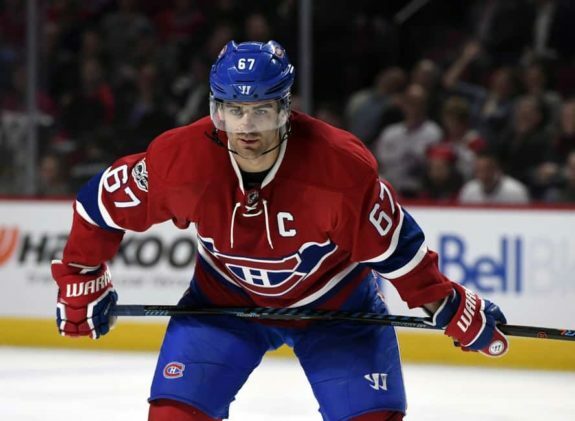 With the writing on the wall for captain Max Pacioretty, it’s more than likely that there will be a vacancy for the captaincy next season. Many people started to point at Gallagher as Pacioretty’s heir last season, saying that he should be the historic franchise’s next captain. With the ‘C’ in sight, he will surely have the motivation this season to give it his all and prove that he can build on his success from last season. If he can stay healthy for the duration of the season, Gallagher should be in store for a monster season. Although general manager Marc Bergevin didn’t address the immediate need for a centre, Gallagher now has a year of experience with fellow winger Jonathan Drouin, and with newcomer Max Domi there is plenty of talent to shuffle around. All three players have something big to prove this season, which can translate to big fantasy payouts. Pacioretty has been one of the league’s elite goal scorers over the last several years, but if he fails to bounce back this year he may miss out on the massive contract he’s had his eyes on. Petry has the opportunity to show the league that he is a legitimate top-pairing defenceman in the absence of Weber. 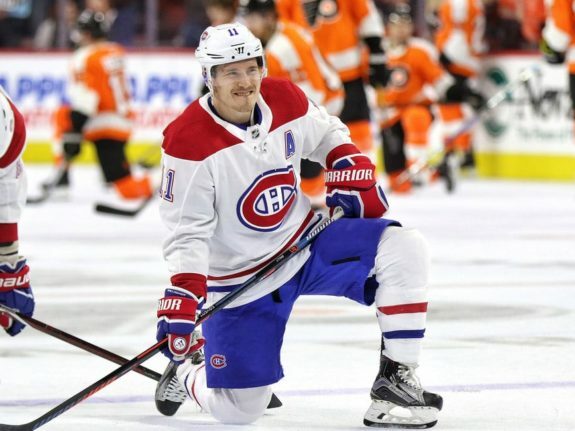 Gallagher can continue to cement himself as a fan favourite and candidate for the captaincy in Montreal if he builds on his career year and continues to lead the Canadiens on and off the ice. Even if the Canadiens find themselves at the bottom of the standings again, there’s a good chance that these three guys will put together good seasons.